Some brain conditions may be followed with observation, clinical examination, and or serial imaging studies. At OCNA your neurosurgeon will help guide you to the appropriate treatment option. Some conditions of the brain require surgical intervention. Some of the more common treatments are listed below. The surgical treatment of brain tumors has undergone significant advances in the past decade. We utilize the most up-to-date neurosurgical techniques combined with state of the art intraoperative tumor localization technologies to optimize our surgical outcomes. As a result, we have been performing more accurate and precise tumor resections with shortened post- operative recovery periods. We have extensive experience in the surgical resection of benign and malignant brain tumors. And finally, the CyberKnife System’s treatment accuracy is unrivaled. Its ability to treat tumors with pin-point accuracy is unmatched by other radiation therapy and radiosurgery systems. The CyberKnife System can essentially “paint” the tumor with radiation allowing it to precisely deliver treatment to the tumor alone, sparing surrounding healthy tissue. For more information click here. Pituitary Tumors – Is there any treatment? Pituitary Tumors – What is the prognosis? If diagnosed early enough, the prognosis is usually excellent. 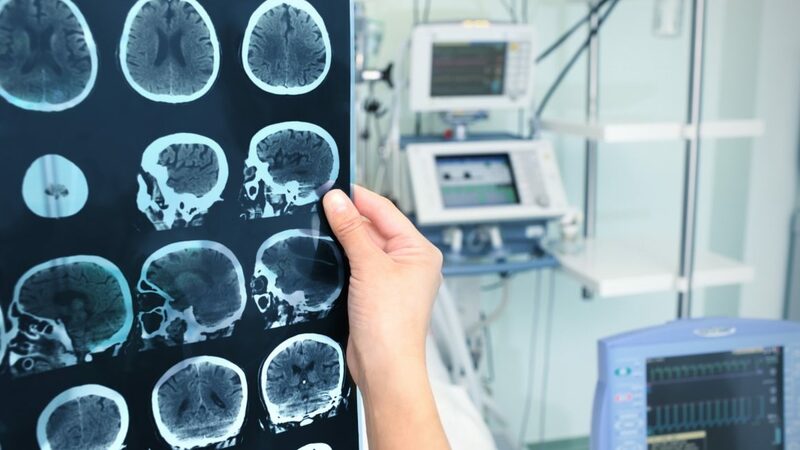 If diagnosis is delayed, even a non-functioning tumor can cause problems if it grows large enough to press on the optic nerves, the brain, or the carotid arteries (the vessels that bring blood to the brain). Early diagnosis and treatment is the key to a good prognosis.From The National Institute of Neurological Disorders and Stroke. Pituitary Tumors – Surgical treatment of pituitary tumors – Transnasal (endoscopic and microsurgical approach) – A type of surgery in which micro instruments are inserted through the nose, through the sphenoid bone at the base of the skull and into part of the brain. Transsphenoidal surgery is generally used to remove tumors of the pituitary gland, or anterior skull base. OCNA neurosurgeons utilize a multidisciplinary team approach of treating pituitary tumors in conjunction with Ear Nose and Throat surgeons, and Endocrinologists. Microvascular Decompression (MVD) is a neurosurgical procedure used to treat trigeminal neuralgia, a pain syndrome characterized by severe episodes of intense facial pain. Patients most likely to benefit from a microvascular decompression have a classic form of trigeminal neuralgia. The diagnosis of this disorder is on the basis of the patients’ symptoms and from a neurological examination. No blood test or genetic marker exists to diagnosis the disease. An MRI scan can help eliminate other diagnosis. Newer MRI techniques may allow for the visualization of vascular compression of the nerve. Patients who improve with an MVD are likely to have pain which is episodic rather than constant. The pain typically has an electrical quality to it and is intense. The pain can usually be triggered. Common triggers include light touch, eating, talking or putting on make-up. Most patients whose face pain improved with an MVD also improved at least temporarily with medication. In addition to having the proper type of pain, candidates for an MVD must also be healthy enough to undergo surgery. The risk of surgery may increase with increasing patient age. Patients are put to sleep using general anaesthesia and are positioned on their back with their head turned or on their side with the symptomatic side facing up. Electrical monitoring of facial function and hearing is often used. A straight incision is made two fingerbreaths behind the ear about the length of the ear. A portion of the skull the size of a half-dollar is removed exposing the underlying brain covering known as the dura. The dura is opened to expose the cerebellum. The cerebellum is allowed to fall out of the way exposing the side of the brainstem. Using a microscope and micro-instruments, the arachnoid membrane is dissected allowing visualization of the 8th, 7th and finally the trigeminal nerve. The offending loop of blood vessel is then mobilized. Frequently a groove or indentation is seen in the nerve where the offending vessel was in contact with the nerve. Less often the nerve is thin and pale. Once the vessel is mobilized a sponge like material is placed between the nerve and the offending blood vessel to prevent the vessel from returning to its native position. After the decompression is complete, the wound is flushed clean with saline solution. The dura is sewn closed. The skull is reconstructed and the overlying tissues are closed in multiple layers. The patient is allowed to wake up and is taken to an intensive care unit or other close observation unit. The largest reported series of MVD’s published in the New England Journal of Medicine in 1996. The initial success rate was 82% for complete relief with an additional 16% having partial relief for a combined initial success rate of 98%. At 10 year follow-up, 68% had excellent or good relief. 32% had recurrent symptoms. Other series report similar or better results. Hydrocephalus is an excess buildup of cerebrospinal fluid (CSF) in the ventricles (reservoirs) of the brain. This fluid, which protects, nourishes and cleanses the brain and spinal cord, is manufactured daily in the ventricles. Buildup occurs when the fluid cannot flow freely throughout the ventricles and the central nervous system due to various forms of blockage. Except in very rare cases, it is a life-long condition that can only be controlled, not cured, through medical intervention. Normal Pressure Hydrocephalus (NPH) is a neurological condition that affects the elderly. It is characterized by a triad of symptoms including difficulty walking, poor bladder control, and mild dementia. NPH is a difficult-to-diagnose disease, since the symptoms often mimic those of other conditions among the elderly — Alzheimer’s and Parkinson’s. NPH is a condition that cannot be cured, but it can often be effectively treated. NPH is characterized by a triad of symptoms including difficulty walking, poor bladder control, and mild dementia. The symptoms of NPH may not all occur at the same time, and sometimes only one or two symptoms are present. Some patients experience a mild form of the symptoms, while others become more impaired as the condition progresses. Endoscopic Third ventriculostomy– (ETV) is a surgical procedure in which an opening is created in the floor of the third ventricle using an endoscope placed within the ventricular system through a burr hole. This allows the cerebrospinal fluid to flow directly to the basal cisterns, thereby shortcutting any obstruction. It is used to treat certain forms of obstructive hydrocephalus, such as aqueductal stenosis. Ventriculoperitoneal Shunt (VPS) diverts the CSF from the ventricles in the brain to the peritoneal cavity in the abdomen where the fluid is reabsorbed into the bloodstream. The one-way valve is placed next to the ventricle in the brain and the proximal catheter is placed in the ventricle while the distal catheter runs from the valve down to the peritoneal cavity. A catheter is an extremely narrow piece of tubing used for drainage purposes. “Proximal” refers to the catheter placed in the area to be drained, while “distal” refers to the catheter placed in the area accepting the CSF to be absorbed. Activa Parkinson’s Control Therapy and Essential Tremor Therapy uses one or two surgically implanted medical devices, similar to cardiac pacemakers, to deliver electrical stimulation to precisely targeted areas of the brain. Continuous stimulation of these areas blocks the signals that cause the disabling motor symptoms of the disease. As a result, many patients achieve greater control over their body movements, or have a significant reduction of tremors. The Activa System consists of three implantable components: lead, extension, and neurostimulator. The neurostimulator which is placed in the chest wall, generates electrical pulses that are delivered through the extension to the lead to the defined target in the brain. In select patients with Parkinson’s Disease or Essential Tremor , DBS has been shown to be a beneficial procedure. A brain aneurysm, also called a cerebral aneurysm, is an abnormal bulge or ballooning in a blood vessel supplying your brain (cerebrum). The weakened area forms a sac or small balloon that fills with blood. Usually brain aneurysms occur at branching points of arteries. Brain aneurysms can rupture and cause bleeding into your brain. Usually this occurs in the area between your brain and the surrounding membrane (the arachnoid), called the subarachnoid space, causing a subarachnoid hemorrhage. Many small brain aneurysms, especially those located on the arteries in the front part of your brain, have a low risk of rupture. However, ruptured brain aneurysms can lead to stroke and death. Your doctor will evaluate you and discuss your symptoms. Your doctor may use tests to diagnose a ruptured or unruptured brain aneurysm and determine its size, location and other characteristics, and assess the aneurysm’s risk of rupture. Radiologists who specialize in brain imaging conduct imaging tests. Cerebral arteriogram. In a cerebral arteriogram (also called cerebral angiogram), a doctor inserts a long thin tube (catheter) into an artery in your leg and guides it through your blood vessels to the arteries in your neck that lead to your brain. A specialist injects dye into the arteries, which creates a map of your arteries and the aneurysm on X-rays. Cerebrospinal fluid examination. If your doctor suspects a subarachnoid hemorrhage, but the hemorrhage doesn’t appear on a CT scan, your doctor may examine fluid from your spinal column (cerebrospinal fluid) for the presence of blood. A doctor will insert a needle into your lower back to withdraw a small amount of spinal fluid in a procedure called a spinal tap or lumbar puncture. Computed tomography (CT) scan. A CT scan uses a series of X-rays to create a detailed, three-dimensional image of your brain. CT scans can help detect bleeding in your brain. CT scans reveal blood flow in your brain and show the aneurysm’s location. Sometimes a doctor may inject a dye into a vein to highlight blood flow in your arteries and veins (CT angiogram) and provide additional detail regarding the appearance of the brain aneurysm. Magnetic resonance imaging (MRI). An MRI uses powerful magnets and radio waves to create detailed images of your brain and show the aneurysm’s location. Sometimes your doctor may inject a dye into a blood vessel to view the arteries and veins, highlight blood circulation and locate an unruptured or ruptured brain aneurysm (magnetic resonance angiogram). If you have a significant family history of brain aneurysms or if you have autosomal dominant polycystic kidney disease, you’re considered to be at high risk for an aneurysm, and your doctor may recommend screening. Common screening tests include magnetic resonance angiography or computed tomography angiography. Your treatment team will work closely with you to develop an individualized treatment plan to prevent a brain hemorrhage based on your brain aneurysm’s location, the aneurysm’s risk of rupture and your medical condition. We treat brain aneurysms in many ways, including procedures using minimally invasive techniques. Monitoring. If doctors determine your brain aneurysm has a low risk of rupture, they may recommend monitoring your condition with regular follow-up appointments. The size and location of a brain aneurysm affects the risk of a brain hemorrhage. As a result, we will consider these and other factors in determining your risk of rupture, and review options for long-term management. Endovascular embolization. In endovascular embolization, a doctor inserts a long thin tube (catheter) into an artery in your groin and guides it to your brain using X-ray imaging. Your surgeon then guides detachable platinum coils through the catheter, placing the coils in the aneurysm (aneurysm coiling). The coils fill the aneurysm, which reduces blood flow into the aneurysm sac and causes the blood to clot. Your surgeon also may insert a balloon or tube (stent) in the artery to keep it open and then perform the aneurysm coiling.Doctors often use endovascular therapy to treat ruptured and unruptured aneurysms and may offer it as an alternative to surgery. Endovascular procedures sometimes need to be performed again. You’ll have regular follow-up appointments with your doctor to monitor for any changes. Surgery. During the surgery, done under general anesthesia, your surgeon makes an incision in your scalp, creates a window in your skull, locates the brain aneurysm and places a metal clip across its neck to prevent rupture and stop the blood flow to the aneurysm. If the aneurysm is large, your surgeon may use a piece of an artery from another part of your body to connect your blood vessels and bypass the aneurysm.Surgical techniques have greatly reduced the risks of this surgery. Your risk depends on the size, location, and other characteristics of your brain aneurysm, and your age and medical history. The possibility of an aneurysm recurring after surgery is low. A brain AVM (arteriovenous malformation) is an abnormal connection between arteries and veins that interrupts the normal flow of blood between them. An AVM, which is present at birth (congenital), can develop anywhere in your body but occurs most often in the brain or spine. A brain AVM, which appears as tangles of normal and dilated blood vessels, can occur in any part of your brain. The cause isn’t clear. Doctors believe that a brain AVM develops during fetal development. Why this occurs for some babies and not others is unknown. You may not know you have a brain AVM until you experience symptoms, such as headaches or a seizure. In serious cases, the blood vessels rupture, causing bleeding in the brain (hemorrhage). Once diagnosed, a brain AVM can often be treated successfully. Normally, your heart sends oxygen-rich blood to your brain through arteries, which branch into smaller arterioles and subsequently to capillaries, the smallest blood vessels. Oxygen is removed from blood in the capillaries and used by your brain. The oxygen-depleted blood then passes into small venules and then into larger veins that drain the blood from your brain, returning it to your heart and lungs to get more oxygen. If you have a brain AVM, blood passes directly from your arteries to your veins via abnormal vessels. This disrupts the normal process of how blood circulates through your brain. A brain AVM (arteriovenous malformation) often causes no signs or symptoms until the AVM ruptures, resulting in bleeding in the brain (hemorrhage). A bleeding brain AVM is life-threatening and requires emergency medical attention. Symptoms may begin at any age, but you’re more likely to experience symptoms before age 50. Brain AVM can damage brain tissue over time. The effects slowly build up, sometimes causing symptoms in early adulthood. Once you reach middle age, however, brain AVMs tend to remain stable and are less likely to cause symptoms. For women, pregnancy may start or worsen symptoms because of the increased blood flow and blood volume during pregnancy. Treatment options for brain AVM involve a number of procedures and depend on the size and location of the abnormal blood vessels. Medications may also be used to treat related symptoms, such as headaches or seizures. Surgical treatment of a small brain AVM is relatively safe and effective. A section of skull is removed temporarily to gain access to the AVM. The neurosurgeon, aided by a high-powered microscope, seals off the AVM with special clips and carefully removes it from surrounding brain tissue. Sometimes this is done with a laser. The skull bone is then reattached, and the scalp is closed with stitches. Resection is usually done when the AVM can be removed with acceptable risk to prevent hemorrhage or seizures. AVMs that are in deep brain regions carry a higher risk of complications. In these cases, other treatments are considered. During this procedure, a long, thin tube called a catheter is inserted into a leg artery and threaded through the body to the brain arteries. The catheter is positioned in one of the feeding arteries to the AVM, and small particles of a glue-like substance are injected to block the vessel and reduce blood flow into the AVM. Endovascular embolization may be done alone, before other treatments to reduce the size of the AVM, or during surgery to reduce the chance of bleeding during the operation. In some large brain AVMs, endovascular embolization may reduce stroke-like symptoms by redirecting blood back to normal brain tissue. This treatment uses precisely focused radiation to destroy the AVM. The radiation causes the AVM vessels to slowly clot off in the months or years following the treatment. This treatment works best for small AVMs and for those that have not caused a life-threatening hemorrhage.